NOVOSIBIRSK, December 26. /ITAR-TASS/. 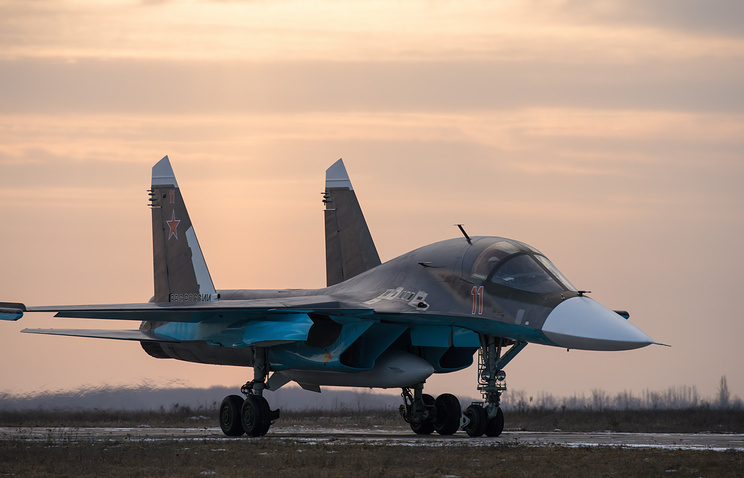 Russia’s Air Force will get 16 Su-34 fighter bombers in 2014, Air Force commander-in-chief, Lieutenant-General Viktor Bondarev said on Thursday. “Today Russia’s Air Force has 32 Su-34 bombers. In 2014, we’re planning to get 16 bombers. In total, we’ll receive at least 150 aircraft and can increase this number to 200 aircraft,” Bondarev said on Thursday while visiting the Novosibirsk Aircraft Building Plant. “Today, five bombers should be finally assembled at the plant under the 2014 order. I believe that we’ll get the first bombers in March,” the commander-in-chief said. In 2013, the Air Force received 14 Su-34 bombers, which had been sent to the Western and Southern Military Districts, he said. “Since 2015 the plant is planning to produce 20 aircraft per year,” Bondarev said. For his part, Sukhoi Director-General Igor Ozar said the holding had signed a contract with the Defence Ministry to supply the Su-34 bombers till the year 2020. The Novosibirsk Aircraft Building Plant integrates components of 200 key suppliers by producing the Su-34 bombers, Sukhoi Holding deputy director-general Sergei Smirnov said. “There are at least 200 key suppliers at the Su-34 aircraft. In total, 75% of the price is purchased integrated parts,” he said. Despite the inevitable difficulties “we succeeded in maintaining contacts with most of suppliers”, Smirnov said, adding that all problems “are being solved on the regular basis”.